Be transported to a faraway place each time you sit down in your dining room by the exciting Kiss sideboard from Capital Collection. 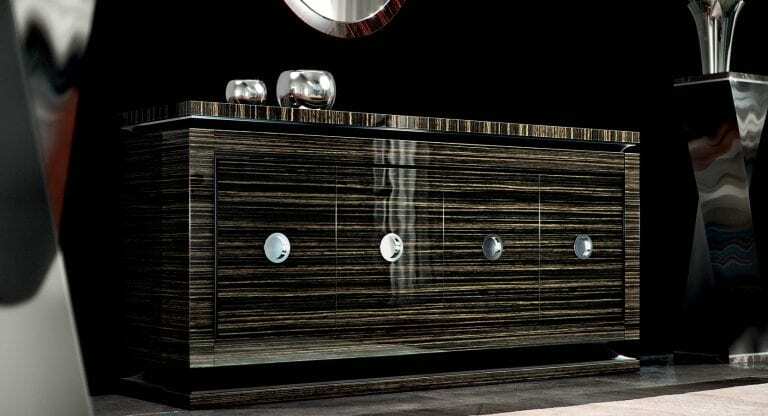 The Italian company with nearly half a century of designs in its reputation never misses an opportunity to create a distinct atmosphere that captures your mind and attention from the minute you step into the room. The Kiss, with its distinctively exotic flair, does exactly that by carrying admirers off into a private environment for a meal that feels miles away from the hectic schedule of everyday life. 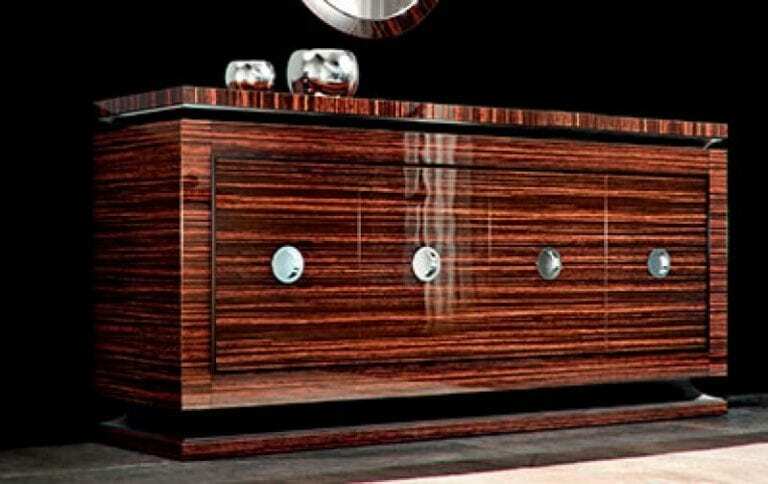 The clean and crisp outline of the elongated sideboard provides the perfect backdrop for the dramatic, high-gloss finish with a tiger-striped wood veneer. To maximize walking space between the sideboard and dining room chairs, the Kiss sideboard by Capital Collection features four inverted, concave pull handles in polished chrome instead of protruding hardware that infers with navigating around the room. The horizontal stripe pattern lengthens the room visually. The open space behind the door panels is extra large in order to accommodate bulky items like large serving platters or decorative candlesticks. 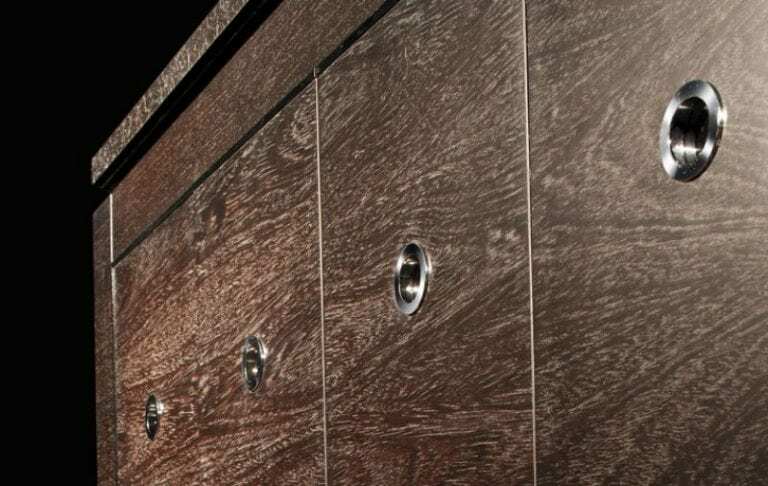 The sheer uniqueness of the Kiss sideboard will make a great first impression, but its practicality and high-quality Italian craftsmanship will make it a classic and beloved staple that lasts in your home for years to come. 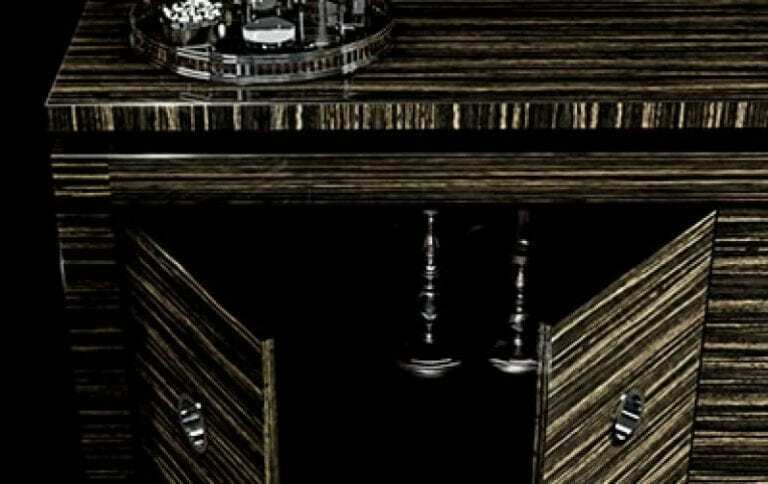 What exotic location will the Kiss sideboard transport you to when you step into your dining room?